This paper would be a perfect fit for PLOS ONE: I have edited non-model organism papers where I and the reviewers have balanced strength of support for conclusions with availability of more animals, and decided on acceptance subject to explicit acknowledgment of potential caveats. This solved the archiving problem (as it was a hard copy that I sent to the institutions cited) but it set up a (low) paywall to purchase. I eventually got around that as well - it was originally published through Lulu, who allow you to create fee-free PDFs that they archive as well. So people were able to download the PDF for free and/or purchase a hard copy to read. Anyway I certainly don't intend to repeat this method - the backlash was a bit intense. I considered, as physioprof suggested, PLoS ONE but did not submit there due to the high publication cost on the author (I later saw that this could be waived - if I had seen this I probably would have gone that route instead). Anyway, fascinating to read someone else's struggle with this dilemma. I guess you can argue that your blog is like a pre-print place, like your own personal arXiv. Just a note - my crayfish post was not cited. I actually wrote once an angry post when someone published a relevant paper and did NOT cite it. But some years prior to that one of my "Clock Tutorial" posts was cited in a review paper, and later some of my posts about blogging have been cited in papers about blogging. Bora: Ooops! Sorry! I remembered the discussion but not the outcome. hmm.... all very relevant points. why self publish (your own personal arxiv) and not use the "real" ArXiv though? Neuromusic: Last I looked, most of the biology papers in arXiv were computational, so my paper didn’t seem to be a good fit. Obviously, that’s not absolute, since Rosie Redfield’s paper was not computational. The other reason was that publishing a paper in arXiv is not different or unusual now for science generally. Publishing on a blog - I think that’s pretty rare even for physics. (Though they’ll hold a press conference pretty fast.) The novelty factor of publishing on my blog was higher, so had more chance of generating discussion. This is great, and I knew it would only be a matter of time until somebody tried this! Good on you for being willing (and able) to experiment like this. What I'm especially interested in is how/whether this article will be cited in the future. While I would argue that this should be considered a formal article just like if it were published in PLOS ONE or Nature, it seems most academic publishers are unwilling to acknowledge citable material on blogs as anything more than a footnote (a situation that I blogged about recently). While I doubt your paper will change many attitudes on its own, I think it's pretty clear there are new alternatives to academic publishing that need to be accepted by "traditional" publications. Kudos for not letting all that effort be buried by the inefficiencies of the system. I cannot understand what's the big deal about blogging experiments (old or new), in whatever form one wishes. Posting observations or data as small units as they emerge or even as a preprint article will only help make the science we do better, because it facilitates the critiquing process, especially useful at the formative stage of the project. I'd say this "release and publish" approach is more experiment friendly than the current norm. Thanks to @Figshare and arXiv we can do this now in an archivable manner. May be we are just going back to the good old times.. 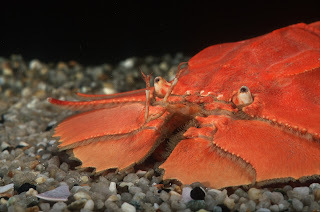 I'm talking about the times when crustacean neurobiol. papers used to show up in Nature more frequently. Another point, if the peers think that the open content is very useful, the post (or article) may even get promoted to become a part of formal extra-peer-reviewed-article. This has happened for me once (http://goo.gl/HLRXz). I was so happy about this because that particular content was generated when I was in the doldrums, unsure about where I was heading. Blogging helped me stay focused on the research problems I cared most about. Morgan: Even if I published this paper in a proper peer-reviewed journal, I reckon the odds of it getting cited are about the same as now: almost zero. 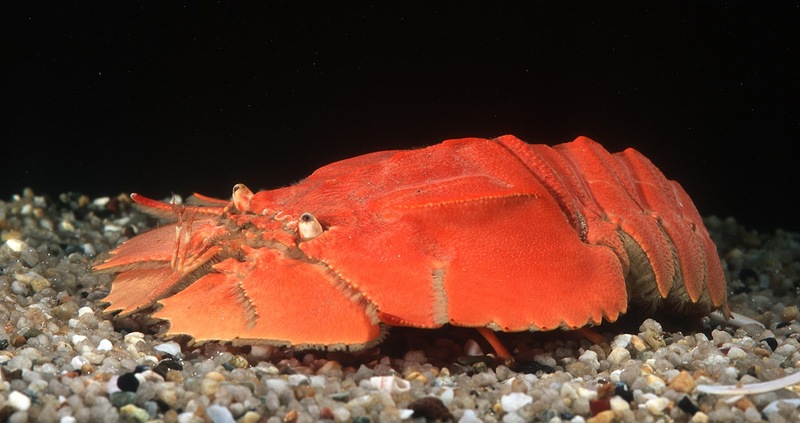 Research on both the neural control of locomotion and crustacean neuroscience has shrunk significantly in the last decade or so, in my estimation. Maybe this is partly due to the emphasis on the "evil four" that is bedevilling neuroethology. 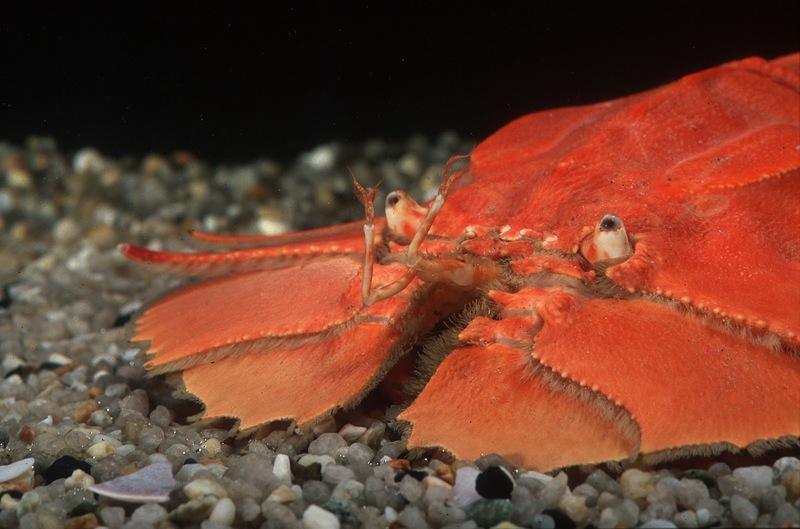 And yes, there are exceptions: research on the stomatogastric ganglion of crustaceans is still going strong. But there isn’t as large a research community now as there was, in my estimation, and the size of research community is a key factor that drives a lot of citations. Balapagos: Whatever inefficiencies the system may have (and it does have them), this is a case where the author (me) has been way, way, waaaaaay more inefficient. I more of less had these data in the can by the end of 2000. So of the 12 years of delay, at least 10 of them are due to me. If not 11, or 11½. I feel that when we publish something, we have a responsibility for it; not just a responsibility to our peers, who might readily see and understand any shortcomings and view the paper for what it is, but a responsibility to students and the public, who might *not* understand its shortcomings and see it for much *more* than it is. This, I feel, is the role of peer review, and I feel it's an important role; otherwise, what's to separate the cream from the crap that might be blog-published by clever charlatans? In a manner of speaking, it seems to me that it comes down to the basic theory and rigour of science in general; if you can't marshall enough data to convince your peers, maybe you need to accept that it's just not rigorous enough for science. We need to draw a line somewhere; this is a clear line drawn objectively (supposedly), and it is broadly accepted as the standard measure. K: I agree with you, in broad strokes. This is one reason why I am going to clearly mark this as "not peer reviewed" on my website and my CV. Peer review is often valuable, has been, and should continue to be, the gold standard. I am not interested in getting rid of peer review. We already deal with grey literature in science, and publishing on a blog is a slightly different form of that. Maybe what we need to do is think about a “silver standard,” if you will, for grey literature. Do you think the standard for publication be that a finding is accurate, or accurate and interesting? So the public should uncritically trust everything that has the official stamp of peer review? There is nothing about what Zen has done here that prevents peer review. Indeed, the "comments" section of the post (and of the figures shared to FigShare) provide ample opportunity for his peers to review and critique the work. (I would encourage him to initiate this process by posting the previous reviewers comments in the comments section of the post, actually). When we talk about peer review, I think we mean two things. Peer Review in the general sense (evaluation of the quality and rigor of scientific work by other qualified scientists) and peer review in a specific sense (an editor asks 2-3 reviewers to evaluate a paper anonymously and the paper gets placed on one side of a line: accept or reject). The specific sense should not be what we are committed to as scientists... rather it is the general principle of being evaluated by our peers. This is what is important. The modern "standard" of peer review is a legacy of archaic publishing practices and can be changed while maintaining a commitment to the general principle of Peer Review. I am sure almost every researcher has a similar file-drawer problem to some extent or another. That's part of the reason I keep an open lab notebook. (Not as tidy as a publication format, but at least it's all there). For instance, this whole project on stochastic fluctations in beetle populations, (from back when the notebook lived on openwetware) never saw the light, but most of those pages have been viewed hundreds of times. I think FigShare would actually be an excellent home for this paper (despite the name, they take papers, datasets, etc. Just submit the word or pdf document, and you'd have an archival DOI). Re: Ingelfinger rule - I think it's clear that you're posting an author's preprint, and most journals(with notable exceptions) would not consider something 'already published' if it hadn't been peer reviewed. (as PNAS eloquently states in their policy towards arXiv. Re: novelty - many fields other than physics have a preprint culture that simply takes a different form than arXiv - sharing working papers through informal channels long before, if ever, they see the light of day. See Krugman's description of how this worked in economics, before the arXiv existed. On comments that peer review is the guardian of what is and isn't valid science: If that were true, I think we could agree that (a) valid papers would not remain unpublished on the grounds of not being of sufficient impact, and (b) most published papers would be valid . If journals are more proud of being good filters of what is interesting than of what is valid , then most reviews are serving a different purpose than postulated above anyway. Someone on twitter (I forget now) mentioned that the article wont be able to get a DOI and therefoew may be problematic to be citable. However, maybe the story shouldnt be the thing we are citing, only the data (which through figshare is citable). 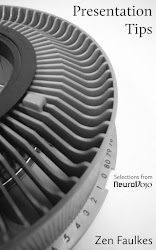 I agree with neuromusic. There is so much stock in peer review, but why can't people publicly peer review in the comments? What's so special about journals that scientists can't do independently. I publish my science daily in an open notebook. Its not a complete story, but the story is told over time. What's wrong with that. Zen you've accomplished something I've wanted to do for some time. And I'll definitely be following suit. I don't have tenure so I may be risking my career, but I think the people who take risks should be rewarded as well. You can't be a ground breaker if you don't do something new. Dave: I'm a big fan of DOIs, and would love it if there was a way to give the paper a DOI. But people routinely cite things without DOIs all the time. Some journals have even incorporated styles for referencing web pages into their instructions for references. I got 99 problems, but no DOI is... well, it is a problem, but it's closer to problem number 99 than problem number 1. Zen: No, I realize that you're not anti-peer review. But we do already have a silver standard, and here I am thinking, for example, about all those edited volumes that often come out of conference proceedings, etc. These are not subject to the rigors of review the same way that a good peer process is, and yet we find them perfectly acceptable and "academic", as they should be. Where I'm coming from is the perspective of critic born of being a professor who seems to have increasingly more trouble trying to help students decide what constitutes academic rigor and what may not (or does not). I do not let my 1st and 2nd year undergraduate students employ source materials that are not "academic in nature" for their research papers, and this can be a difficult thing to define (3rd and 4th year students can cite whatever they want, but I may challenge them on the authority of their sources). The idea is simple; I want them to be familiar with the gold and silver standards first. The point I think, is made perfectly clear by the knee-jerk response of NEUROMUSIC, whose comment betrays a simplistic dualist understanding of the academe. The comment suggests that embracing the peer-review process is the same thing as saying that whatever is published by the process is gospel. Not only is the comment ridiculous and easily proven untrue (so much so that it strikes me as a troll), it belies the same lack of understanding of the general process of the advancement of science that I commonly encounter in my 1st year undergraduates. As for grey literature, it may have a very different form in your field than mine. In mine, it generally takes the form of field reports generated by consultants that are working towards mitigation of impact - the contribution to the overall discipline varies considerably, but the focus tends to be on the mitigation rather than anything that might be considered a gold, silver, or even pewter contribution to scientific knowledge. I do hear you though on issues like negative results, and replication of important findings, etc. These are the common criticisms of the gold standard peer review process, but then again, in my field, these types of papers generally find their way into the silver literature via the conference route. Can we all be accurate and interesting? No, probably not, but it's the same for any profession isn't it? The best rise to the top and the rest of us struggle to keep up and keep telling ourselves that there just isn't enough room at the top and the folks up there are just elitist and the whole thing is artificial anyway. I don't pretend to have the answers; I'm just offering feedback where feedback was requested. The existing process isn't perfect, but nothing ever is. The world of publishing is already very different today than when I was a student; changes in associated technology will always affect the dissemination and nature of information. I expect that self e-publishing will become more and more common, and students (and professionals) will just have to develop a bit more savvy to deal with it. What I do fear though is that the work of good academics will become lost in an abyss of trash produced by a post-modernist public that believes they know more than they do and that the rest of us should listen to their opinions on any matter. I'm reminded of something Asimov wrote back in the '80s: "The strain of anti-intellectualism has been a constant thread winding its way through our political and cultural life, nurtured by the false notion that democracy means that "my ignorance is just as good as your knowledge." If I we're to offer any advice, it would be to strive to find a way to clearly distinguish your valuable work from being overlooked in that sea of trash; at least until someone finds a way to fasten a beacon to your product such that the academe and the public can see that it is worthy of their time and consideration. K: Thank you for entering into the discussion. Much appreciated. K: no, not trying to troll here. rather, I was criticizing what seemed to me to be a rather "simplistic dualist understanding of the academe"... in particular, your assertion that "if you can't marshall enough data to convince your peers [though the current publishing standards], maybe you need to accept that it's just not rigorous enough for science." this assertion fails on two parts. one, is the failure to recognize that peer review as we know it (what you refer to as the "gold" standard) is a quirk of our time. this is the part that I embellished in my previous comment. so yes, my "trolling" question was meant to emphasize these points with a sarcastic tone, criticizing what I saw as a "simplistic dualist understanding of the academe" advanced in your comment. it is indeed "so easily proven untrue" yet entirely consistent with the logic you advanced. I was willing to throw it out there because I don't think that you really think these things (because the logic is so absurd) despite the fact that you advocated for them & argued that publishing like zen has here does a disservice to the public because the "role of peer review" is to show the public the difference between the cream and the charlatanism. and indeed, your follow-up comment betrays a more subtle perspective, which I appreciate. sorry if I came off as a "troll" in my attempt to find such subtlety. Fascinating stuff. I and Matt Wedel, my co-blogger at Sauropod Vertebra Picture of the Week, have been talking about doing this for a long time. It's great that someone has gone ahead and actually done it. Zen Faulkes wrote: "Whatever inefficiencies the system may have (and it does have them), this is a case where the author (me) has been way, way, waaaaaay more inefficient. I more of less had these data in the can by the end of 2000. So of the 12 years of delay, at least 10 of them are due to me. If not 11, or 11½." That is very gracious of you to say, but the truth is that at the end of 2000, the blogging ecosystem to support your action just didn't exist. Arguably, it didn't really exist in the necessary form before a year or two ago. So the "blame" for the 11.5-year delay, if you want to assign it, really belongs to the slow pace that the world has changed. Your solution is the right one; it just wasn't really feasible until a decade had passed. "Do you think the standard for publication be that a finding is accurate, or accurate and interesting?" There is no way that a reviewer or a journal can determine what is interesting to me. A paper recently came out that discusses whether the spinoparapophyseal lamine in the 8th dorsal vertebra of the Giraffatitan brancai paralectotype HMN SII is actually an anterior spinodiapopheseal lamina. To me, that's interesting. To you, probably not so much. But who's to say that it should, for that reason, not be published? K. Hutchings wrote: "Where I'm coming from is the perspective of critic born of being a professor who seems to have increasingly more trouble trying to help students decide what constitutes academic rigor and what may not (or does not)." I do hope you're not teaching your students that what constitutes academic rigour is the "peer-reviewed" rubber-stamp. I discovered an interesting statistical result in the early '80s (an exact formula for combining the p-values of any number of independent experiments). I wasn't much into writing articles at the time, and so I sat on it. For two and a half decades. Along came the internet, and websites. I put it up on my website. People occasionally find it and want to use it in a paper, and they always ask me if it has been published in a journal. When I say no, they often just cite the website. I think it is a good way to get things out there into pubic view if, like me, you don't care about racking up publications. One way to fight back against the peer review publication embargo is by using the system against itself. Since the traditional version of the peer review system denies publication to anything that has already been published elsewhere, the trick is to anticipate the next modification within a mainstream paradigm (that is, the next "normal science" modification, not the next paradigm shift) and publish it before it gets published in peer review. That mainstream theory will then be denied peer review publication! This does not require stealing any information, but can be done perfectly legally- by knowing your enemy and taking the "devil's advocate" point of view. If you can already anticipate what "modifications" will be published within a mainstream paradigm next (that is, if you have successfully predicted such "modifications" before), then just start self-publishing what you expect the mainstreamists to claim next. If you can imagine not only one but a few alternatives of such, publish them all. That is, publish those that could be expected to be modifications within a mainstream paradigm, while preferably keeping those that could constitute paradigm shifts under your hat. And self-publish it openly accessible to anyone with Internet (e.g. blogs, forums, social media, wikis and so on) to increase the likelihood that the "redundant publication" detector of the peer review system will detect it (and thus deny it peer review publication). Publication on less accessible parts of the Internet (such as ebooks or freenet) is not as efficient since it decreases the chances of detection, and physical books are even less efficient. Also, it should of course be in English. Alternative email alias and pseudonym may be used if you do not want to appear publicly as a front fighre of a mainstream paradigm. If you are not so good at predicting how the mainstream paradigms will "modify" their theories next (that is, if you either never listen to or read what the mainstreamists actually say, or are taken completely by surprise most or all times you actually do), you should read their publications to know your enemy and become better at anticipating what they may claim next. When many people do this and mainstream paradigms are thus prevented from getting their "modifications" published in any respected peer review journals, the tyranny of the peer review publication embargo will at last lose its support and be deposed.